Adona is a highly gifted telepath, since age 12 when her maternal grandmother, Hester, passed on. Adona says throughout the course of her life she has seen, felt, experienced, and continues to this day, many inter-dimensional and intergalactic communications. She is a direct telepathic communicator with her Dakote, Pleiadian star family members and other diplomats & officers directly working with the Andromeda Council. She is originally from planet Dakote, literal sister to Tolec. Being a spiritual commun-icator, Adona says that after not speaking in public for many years, she is now rededicated to doing her mission here on Earth, reassuring humanity, encouraging and giving them hope for their future here on Earth and in ‘the Heavens’. Therefore, she happily provides her valuable telepathic services to people via her StarAncestry web site, informing her clients in detail about their literal star family heritage and higher dimensional origins. 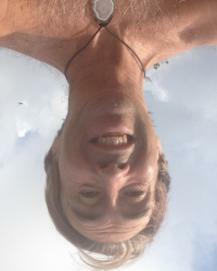 Tolec is a teacher of cosmic interdimensional life, and truths, with a focus on emotional maturity & literal, spiritual, higher dimensional concepts. He is a representative of the Andromeda Council, a governance & development body of 140 star systems and over 300+ planets for people in both the Andromeda and Milky Way galaxies. Tolec has had contact with non-voting board members of the Council since age 5; he is also a member of the Council's Joint Earth Sub- Committee. 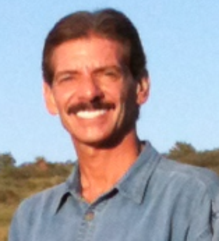 He is authoring his first book: "COMMUNION WITH HIGHER DIMENSIONAL LIFE: A Heart Centered Experience. ​Joan Ocean, M.S., is internationally known for her work in the field of human-dolphin-whale communication. In 1984, she co-founded, with Jean-Luc Bozzoli, Dolphin Connection International, an organization that explores the advancement of human consciousness, biophysics and spirituality. Her best-selling books are: Dolphin Connection: Interdimensional Ways of Living; Dolphins into the Future, and Dolphins,Whales and The Multiverse (2017) published in more than ten languages. An originator of the human-cetacean Ocean Swim Programs world-wide, she provides safe passage and educational seminars, successfully building relationships between humans, dolphins, and whales. She has traveled around the world, swimming with 28 different species of dolphins and whales; including the Amazon River dolphins, the North Atlantic Humpback whales and the highly intelligent Hawaiian Spinner dolphins. Be prepared to open your hearts & minds as Ms. Ocean imparts the wisdom the cetaceans have entrusted to her; the most current and relevant knowledge shared by the Hawaiian Spinner dolphins, the Bottlenose dolphins and the Humpback whales, as well as the benevolent beings who are overlighting humanity's progress as we evolve into higher consciousness. Joan Ocean presents the latest messages of the cetaceans who have been swimming by her side for three decades. Multi-dimensional dolphins and whales, who communicate with their minds and consciousness, interact and play in the realms of telepathy and empathy, both with each other and with humans who are adept at receiving their communications. Ms. Ocean takes us beyond the fixed linear time into the fluid gateways of the multiverse, to understand the cetaceans’ messages and advanced physical, visual and auditory perceptions. Hope Keawe was born and raised in North Kohala on Moku O Keawe (Big Island of Hawai’i) studying hula as a child. She comes from a family of 8, all whom still reside in Hawai’i. In 1972 she married John Keawe. They now have 3 sons and 9 grandchildren. John, also born and raised in North Kohala, has won many prestigious music awards including Hawai’i’s first Grammy Award for Best Hawai’ian Music Album as a contributing artist in 2005. Hope currently is the Health Nurse Aide for Kohala Elementary School. Hope is one of our island’s most treasured artists invited to perform, offering her decades of knowledge with beautiful interpretations and always at the core essence, what it truly means to be in-Aloha. 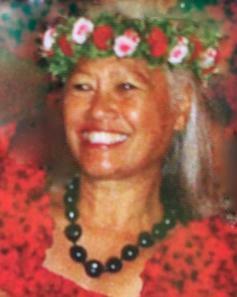 Hope did not take up hula again until 1996 and with Kumu (teacher) & Haku (of Ho’oponopono) Rayleen Ha’alelea (meaning both joy & humble) Kawaiae’a whose teachings included huna (hidden and or lost ancient spiritual knowledge). Anyone who ever studied with Kumu Rayleen who was open heart-minded, was forever transformed by the way that she taught and her immense presence. We each blossomed into being our very best in service to others within what we each came here to do that is uniquely ours and within our kuliana (responsibility). After Rayleen’s passing in 2012, Hope was the only one in North Kohala who could and would continue to carry the flame & spirit that Rayleen had ignited the entire community and island with many years ago. Only Hope continues to keep Rayleen’s priceless kahiko (ancient) knowledge alive and interwoven with her own kuliana as “Kumu Mana’olana” (meaning hope, it is all good and in-Pono). And she does so within the most radiant mana (life force energies) of the purest of heart, spirit & joy. So we are very honored Kumu Mana’olana will be offering our retreat’s opening chant and blessings. 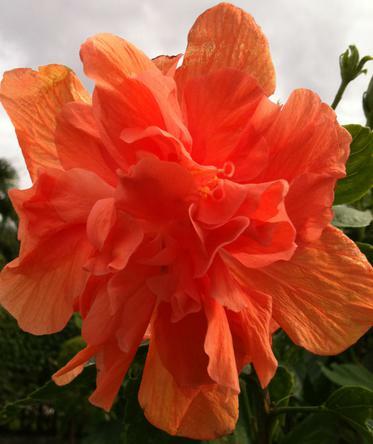 And in following Rayleen’s tradition of only following one’s guidance, Kumu Mana’olana will not be revealing what she will be offering as her Talk Story, because she will not know what it is until she is present with each & all of us … and within each sacred moment unfolding multi dimensionally in-Pono. My earliest life was spent reading in treetops or alcoves where the light flickered through leafy, dapplings of sunlight. I dreamwove on paper ships though timeless worlds and memories. I came from a family of artistic, poetic souls that wove about variations of similar astrology a lineage of free spirits. I thought everyone was mystical and visionary, telepathic and bilocutive. I was infinitely curious and convinced my soul must be a novelist with a taste for cliffhangers for all too often I felt myself a hapless heroine in perilous freefall awaiting the quill to be inked. I formally studied history, philosophy, literature, poetry, film, physics by default and collected credits & degrees until the night that I dreamed that the towering library and all its endless stacks toppled & buried me in their dust. I went to Europe for fresh air & tripped over my old selves in strange recurring coincidences. Until one day, my soul made its appearance to my self, rather inimitably by, swirling mandalas under my feet while I reached for 2 books (Cosmic Memory and The Last Incarnation of Visnu). And just like Alice, I fell into a portal that opened every day and the recapitulations of many ancient civilizations began and continues to this day. So have gyro, will travel, transit and transmit with permission from Gaia and Source of Love within our own lightbodies should you wish for it. 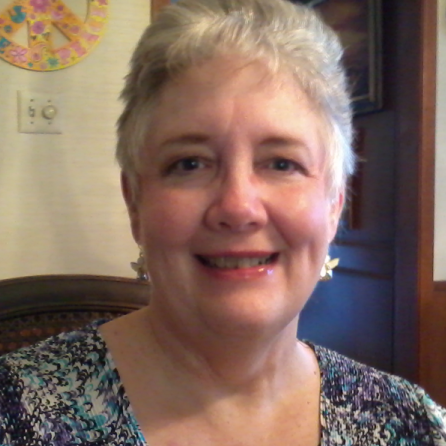 Suzanne is a life and entrepreneurship coach, spiritual mentor, and conduit for higher energies from Spirit. Her life coaching and entrepreneurship programs offer the vehicle through which spiritual energies enter, transforming the lives of her clients by aligning their endeavors with Source. She has assisted thousands by facilitating energetic shifts on a cellular level, effectively neutralizing subconscious blocks and uplifting frequency and vibration, leading individuals to live more expansive, creative, balanced and happy lives. 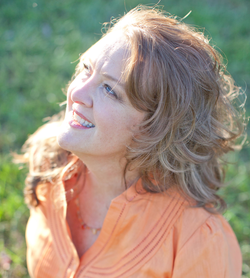 Suzanne is the creator of the Live Global Energetic Downloads, Magnetize Your Beloved, and Shifting Your Prosperity Consciousness, programs all specifically designed for the reception of new Spiritual Energies into these areas of her clients' lives. Recipients experience elevated consciousness, healing of the physical body, resolved relationships, and greater opportunities for prosperity showing up in their lives. Suzanne holds a Bachelor of Fine Arts Degree in Film and Television from New York University, and earned a Graduate Gemologist certification from the Gemological Institute of America in Carlsbad, CA. She has made therapeutic gemstone necklaces and distributed Young Living Essential Oils since 1996, using them to assist her clients in transforming life and health conditions through cutting-edge alternative and natural technologies. She enjoys writing, facilitating groups, encouraging meditation and assisting people in lifting their lives upward immensely. 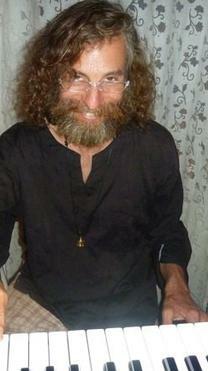 He began working with Shilea in 1991 teaching “Awakening the Light Body”. Shilea and Zandriel worked with musician Michael Hammer for several years in these classes, with Michael composing the music spontaneously to each guided meditation. Currently, Zandriel’s focus is on deep group work that assists in anchoring the frequencies of Ascension for Earth and Humanity. Kauilapele (KP) is a Spirit of Light working with energies on this planet, primarily in Hawai’i, to assist in humanity’s ascension process and help bring about the New Earth. He has a Ph.D. in organic chemistry, and is a professional musician, primarily performing Hawaiian music and slack key guitar. For several years he was an annual performer at the Kona Coffee Festival. His music website is LetYourJoyShine.com. He has a great love for coffee, co-invented & helped develop nutritional products from the coffee fruit. press.com - and posts daily articles relevant to the transformation of planet Earth. The readership now reaches 15-30,000 views per day. Mato Was'tecaka Cantetanka, "Greatheart Charming Bear", by Tunkashila, Ambassador Tanka.